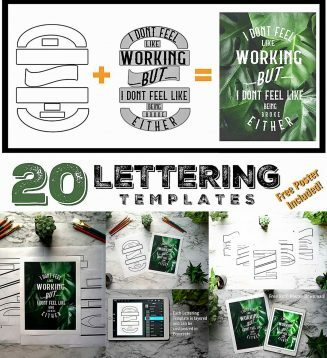 If you’re a lettering artist you know it can sometimes be difficult to create a lettering motif without a composed and balanced grid to guide you. It can also be time consuming to create a new one each time you sit down to make a piece of lettering art. There are a variety of templates to choose from short and simple to long and complex. 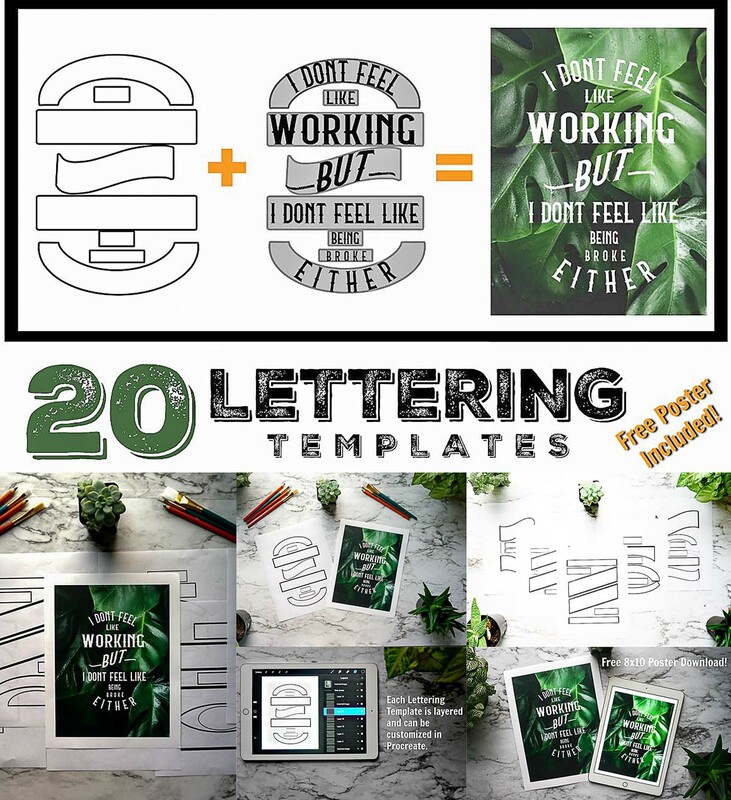 WHAT YOU WILL GET: 20 Different 8.5x11Lettering Templates and 1 Poster Download. File format: .png, .procreate for Photoshop or other software. Tags: hand lettering, lettering, lettering template, poster, procreate, quote, template. How van i download the free grids? I’ m just handlettering for fun ! Thank you! Hi, you just need to click on green button under image. Good luck! I’d like to use this to continue learning for my personal use, please. Thank you!